Infinity's End in 1969. 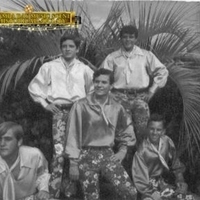 The first photograph features Terry Gene Bollea in the center, and the second photograph shows Bollea on the bottom left. 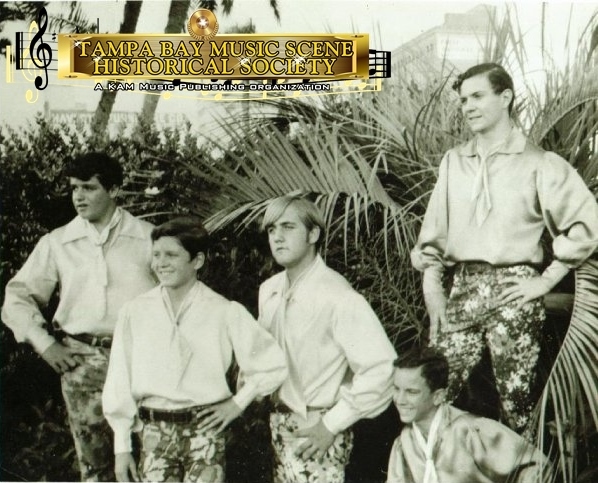 Original black and white photographs, 1969: Profiles: Bands & Artists, Tampa Bay Music Scene Historical Society. Digital reproduction of original black and white photograph. 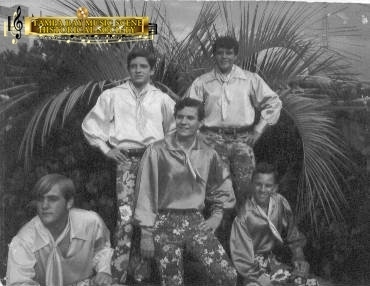 http://www.tampabaymusichistory.com/resources/Infinity%27s%20End%20%28circa%201969%29.jpg. Digital reproduction of original black and white photograph. 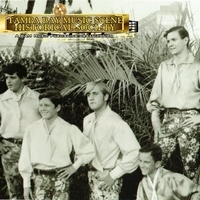 http://www.tampabaymusichistory.com/resources/207294_1020968211087_5843621_n.jpg. “Infinity's End in Ascots.” RICHES of Central Florida accessed April 20, 2019, https://richesmi.cah.ucf.edu/omeka/items/show/5465.